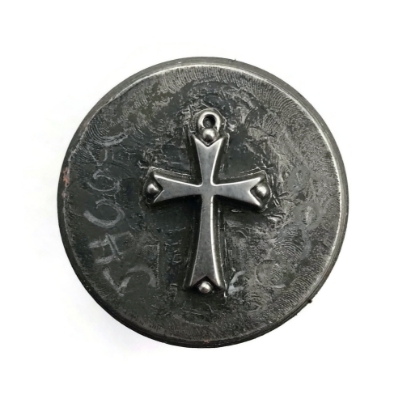 We carry everything from crosses, angels, saints, and more! This die measures 1 1/16" long x 11/16" wide. This die must be used in a hydraulic press. This die measures 1/2" wide X 3/4" tall This die must be used in a hydraulic press.